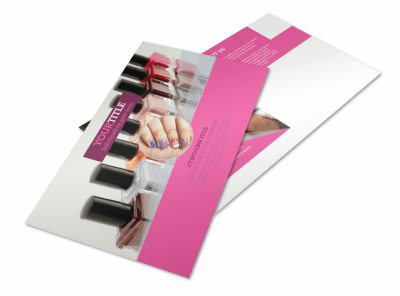 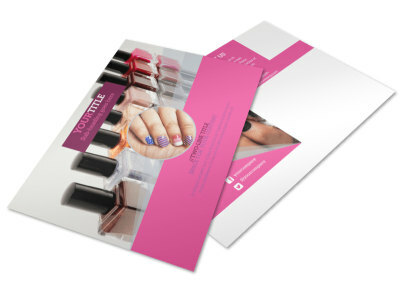 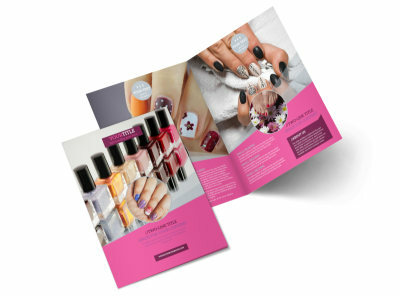 Customize our Fashion Nail Salon Flyer Template and more! 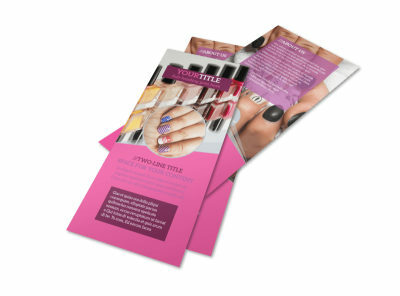 Inspire nail art lovers to check out your manicurist skills with fashion nail salon flyers. 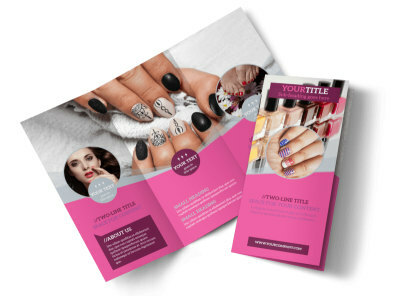 Utilize our user-friendly templates and online editing tool to create an eye-catching piece that will draw in nail fashionistas and encourage them to get manis or pedis. 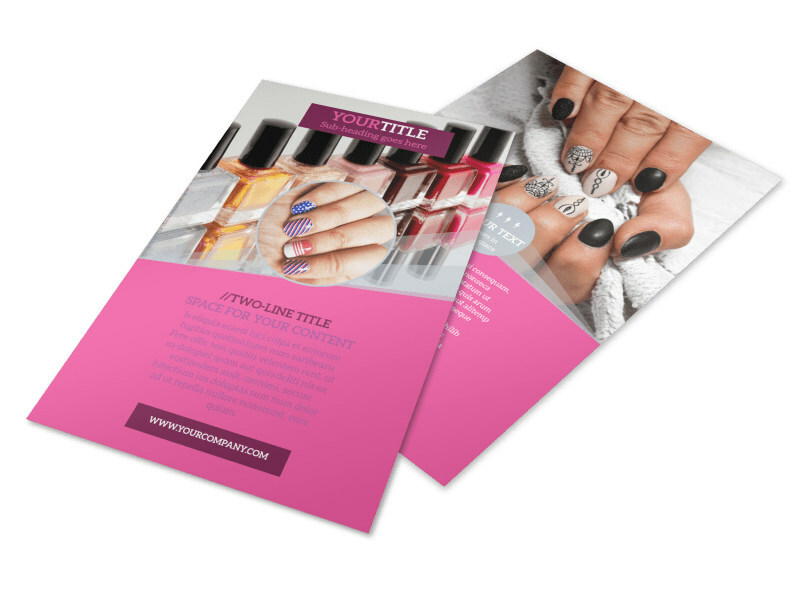 Add images of some of the fantastic artwork your nail technicians have create, select a color theme, and include bold text to inspire the gals to spend a day at the salon.